If you are looking for traditional bulbs for your Christmas decorating, then C9 bulbs are your answer. 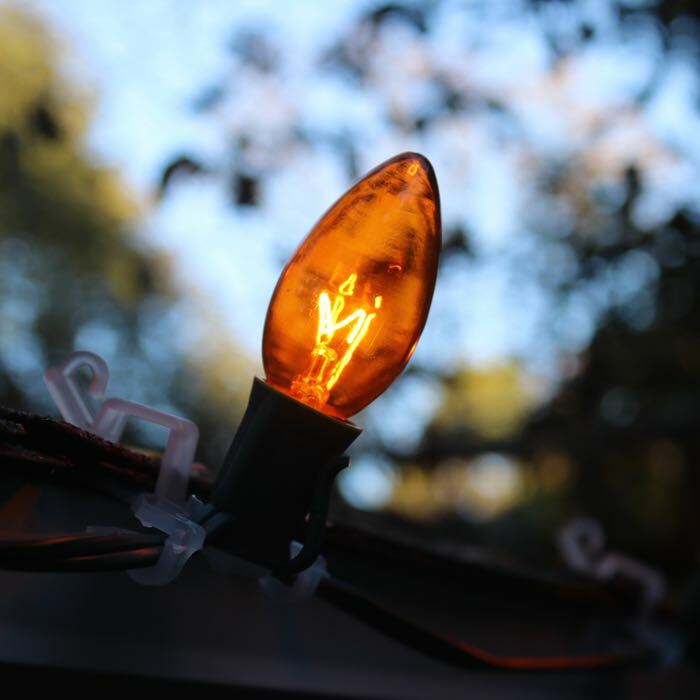 These bright orange bulbs will bring a beautiful glow to all your holiday lighting projects. These C9 Christmas lights, which come in multiples of 25 bulbs, wrap beautifully on both natural and artificial trees. Green wire blends in so the lights show off even more. We enjoy getting out the orange Christmas lights as early as October for our Halloween celebrations! Outline a path for your trick-or-treaters right to the front door, when placing these bulbs in your cord, purchased separately. Orange and white lights on a black or white tree would be a fun accent for your front porch. Showcase your front door with a leaf garland and these bulbs to welcome your family and friends for Thanksgiving. 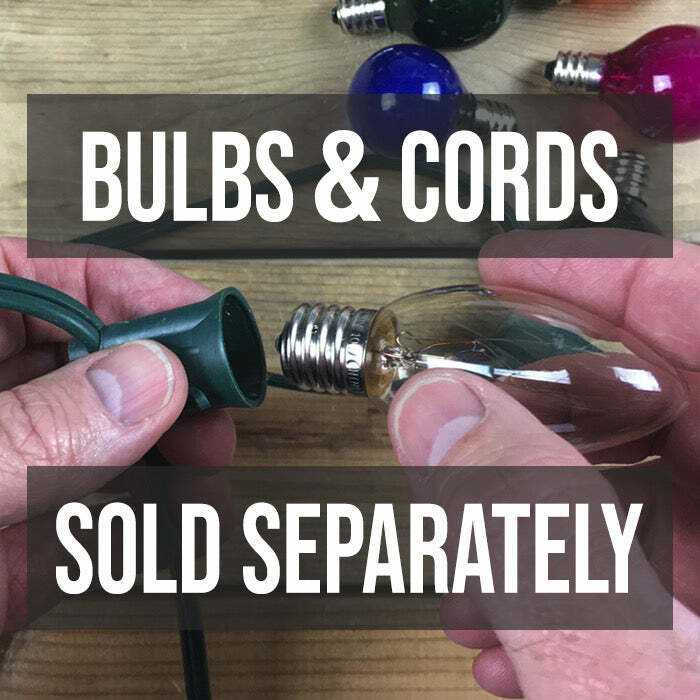 Be sure to check out our many varieties of hardware to make installing your Christmas lights much easier.